Advertisers like to see reports in Analytics which are fresh – reflecting their up-to-the-minute AdWords settings – and consistent with the AdWords reporting. Today, Google Analytics is excited to announce that it is rolling out a new AdWords integration infrastructure for our advertisers to realize these benefits. More importantly, the new integration is laying a foundation for adding new AdWords dimensions quickly – such as Ads – and paving the path for a rich set of reports such as enhanced campaign bid adjustments and Google Display Network targeting settings. Highlighted below are a few ways in which the new platform will start impacting AdWords reports in Google Analytics. With the new infrastructure, reports will reflect the most recent AdWords settings such as campaign or ad_group names keeping them fresh and consistent with AdWords. In the example below, a user has renamed their campaign thrice from “Big Deal” “Big Deals” “Big Deal – Car Accessories”. 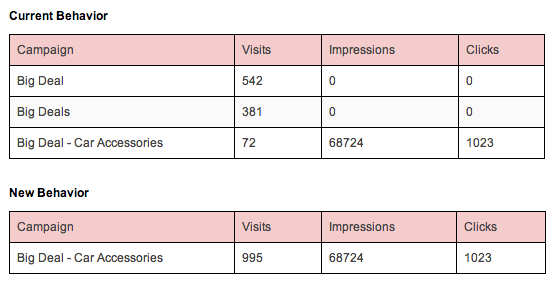 In the current reports, visits are attributed to the three different campaign names while clicks are attributed to the newest campaign name. After this change, both visits and clicks metrics would be associated with the most recent campaign name: “Big Deal – Car Accessories”, thus collapsing multiple rows into a single row. AKQA’s Rei Inamoto argues that the thing we call advertising is over and offers four guidelines for moving into the next era, when 365-day connection, people-focused stories and business invention are key. This was a question that surfaced during one of the many long judging sessions last week in the South of France where I got to preside over the Mobile category, one of the sixteen categories at the Cannes Lions International Festival of Creativity . It caused quite a stir in the jury room. Some strongly argued that creative ideas and product ideas should not be in the same category while others countered that real users don’t necessarily differentiate the two. 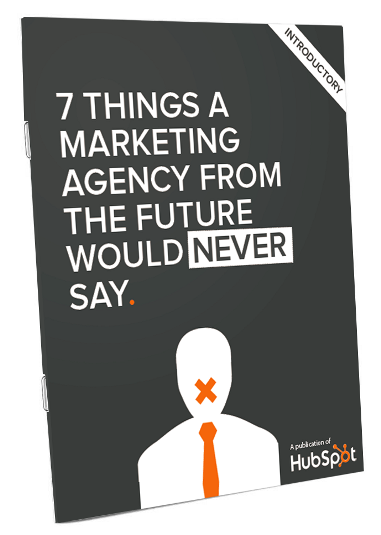 Whether it’s a campaign or a product, brands are vying for people’s time. Another juror posed a slightly more existential question: Why would we assume “campaign” ideas are “creative” and “product” ideas are not?